Posted on January 9, 2016, 3:35 am, by Guest, under Dave Hickey, Julia Friedman, Publications. First Edition Published January 2016 PCP Press. Dave Hickey’s digital writings highlight the impact of digital technology on culture, while allowing a more intimate glimpse of their author. These writings reveal the well-known critic in a creative-informal, rather than critical-formal, mode. Not only do they flesh out many of the ideas elucidated in Hickey’s essays on art, but they also cover a variety of topics, including the year 1972, Texas Eagle Scouts, and Hickey’s own academic misadventures. Unlike Wasted Words, which is inherently contextual and discursive, Dustbunnies stresses the timeless character of Hickey’s unique authorial voice. Always provocative and often shocking, Hickey’s pronouncements are perfectly suited for the jab-like nature of the social media platform. In a delightfully ironic twist of fate, some two decades after the onset of the digital revolution, a critic known for his paragraph-long verbal riffs blasts away at digital natives in the under-140-character idiom they understand. Dave Hickey is a distinguished American art and cultural critic and the author of The Invisible Dragon: Four Essays on Beauty (1993), Air Guitar: Essays on Art and Democracy (1997), and Pirates and Farmers (2014). His most recent book, 25 Women: Essays on Their Art, is just out from the University of Chicago Press. Hickey was Professor of English at the University of Nevada Las Vegas, and Distinguished Professor of Criticism for the MFA Program in the Department of Art & Art History at the University of New Mexico. Julia Friedman is a Russian-born art historian, writer, and curator. 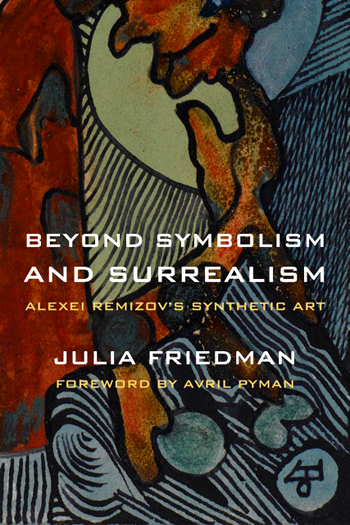 Her book Beyond Symbolism and Surrealism: Alexei Remizov’s Synthetic Art was published by Northwestern University Press in 2010. She is currently working on a monograph about the California artist Wally Hedrick.